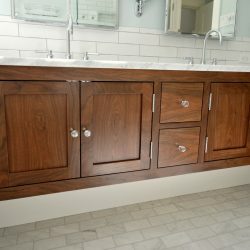 River Woodcraft offers a wide variety of custom woodwork. 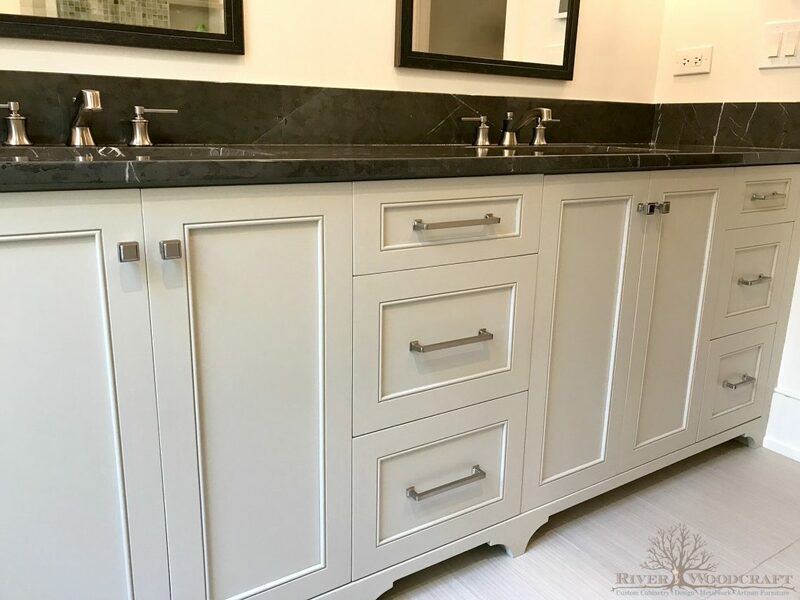 Of the many custom builds that we have to offer, our custom bathroom vanity cabinets are among the cleanest and most beautiful designs. 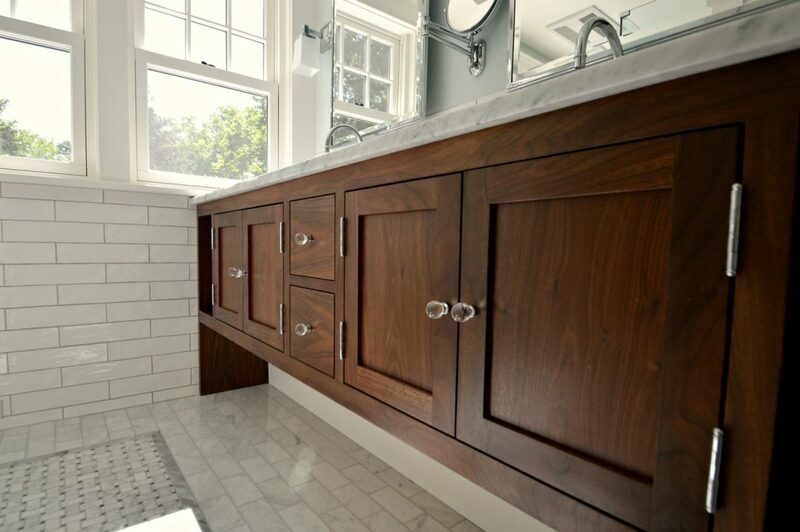 Using simplistic, contemporary styles, we’ll create the perfect, modern look for your dream bathroom. 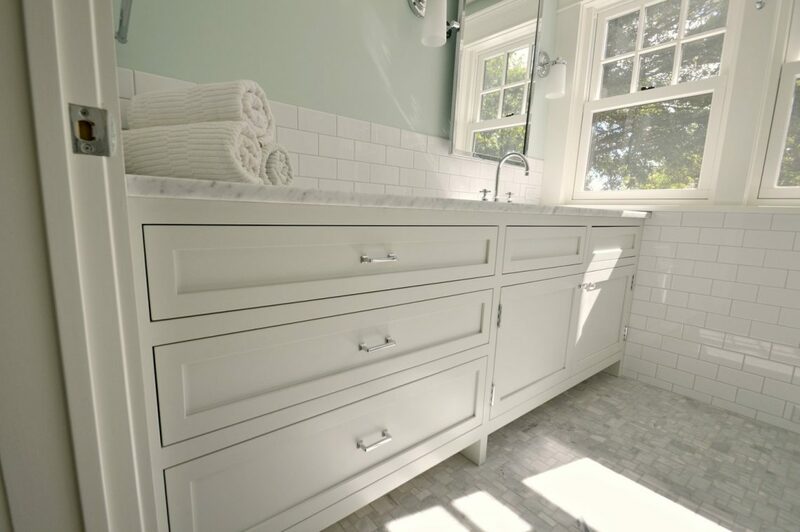 We believe that your bathroom should be a spa within your home, a place you can escape to for a little R&R. 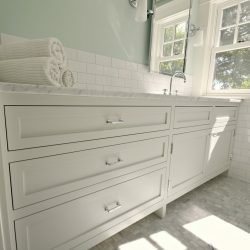 With these beliefs in mind, we create the best custom bathroom for your needs. 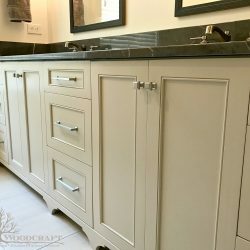 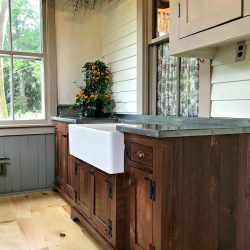 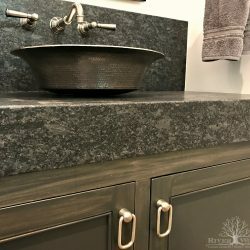 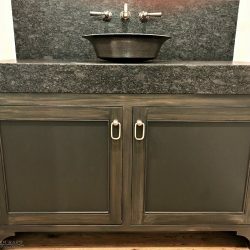 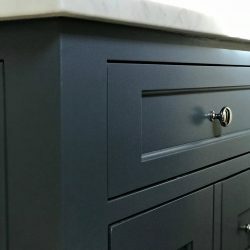 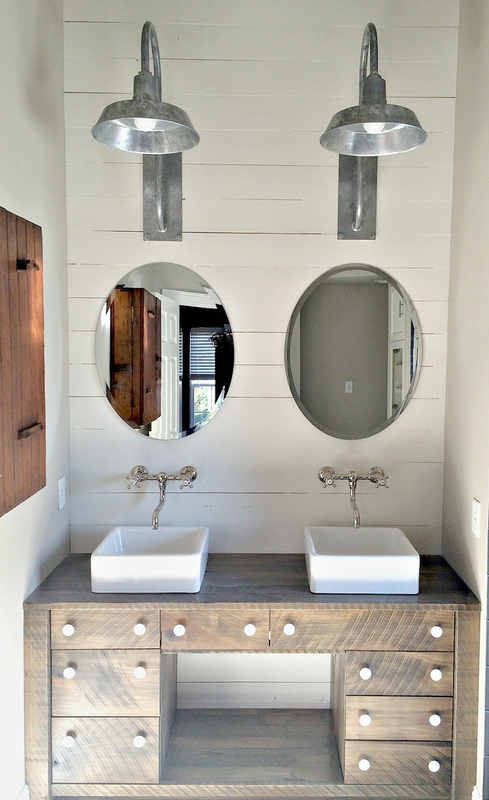 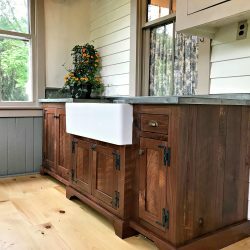 Why Choose River Woodcraft Custom Vanity Cabinets? 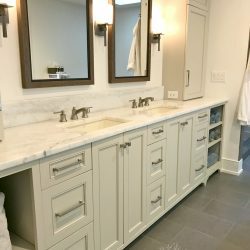 When it comes to a bathroom remodel, you want to work with a company that not only provides beautiful, modern designs, but one that takes pride in everything they do. 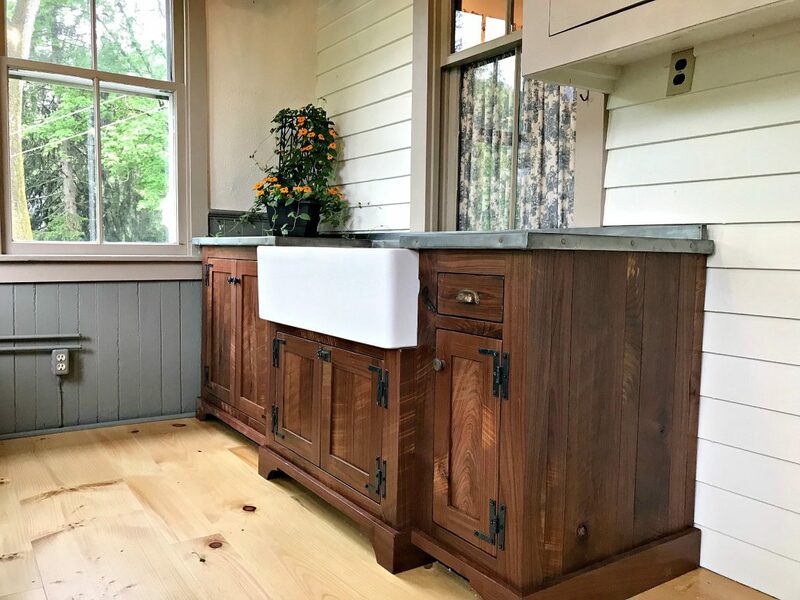 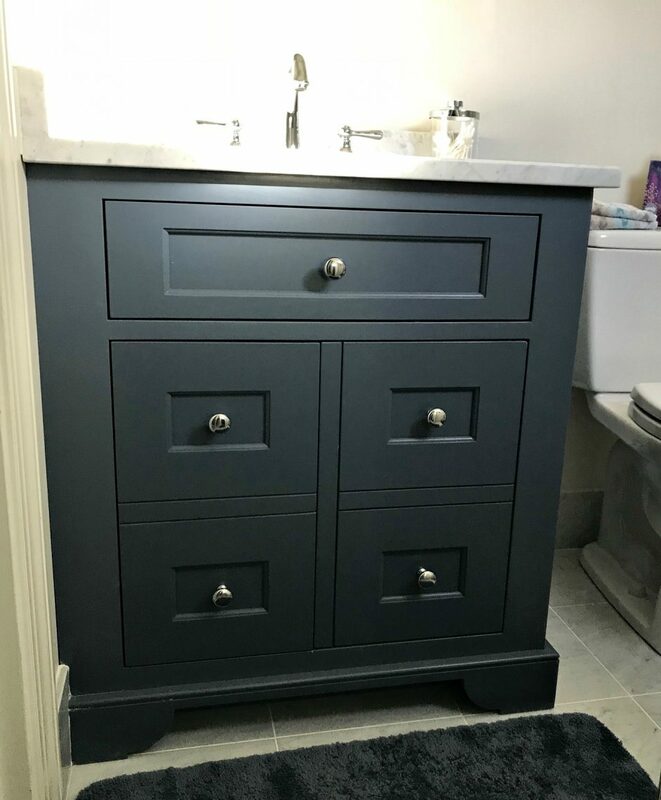 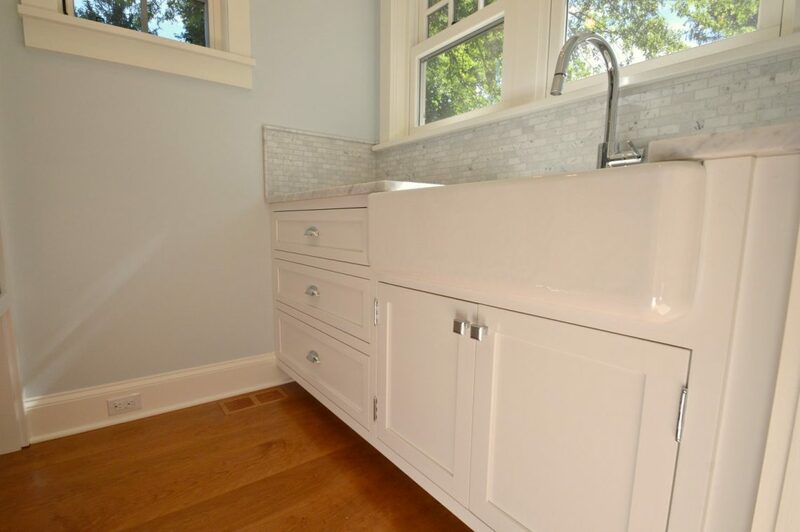 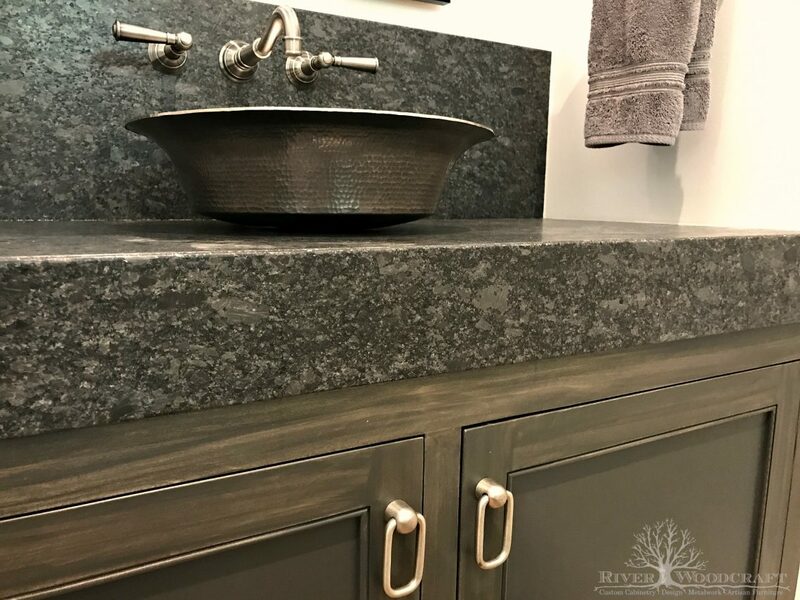 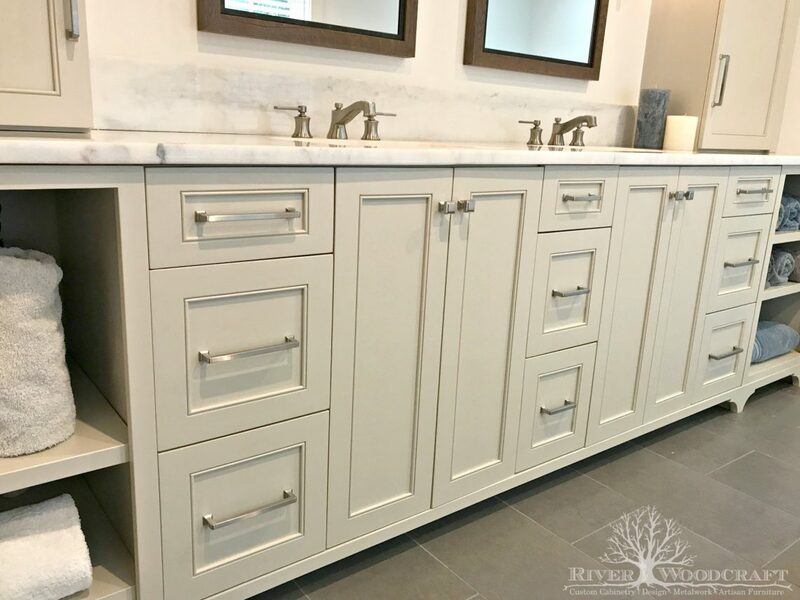 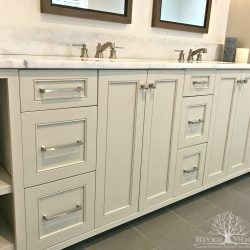 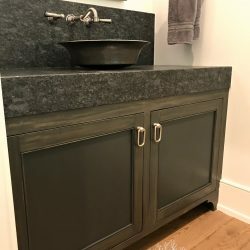 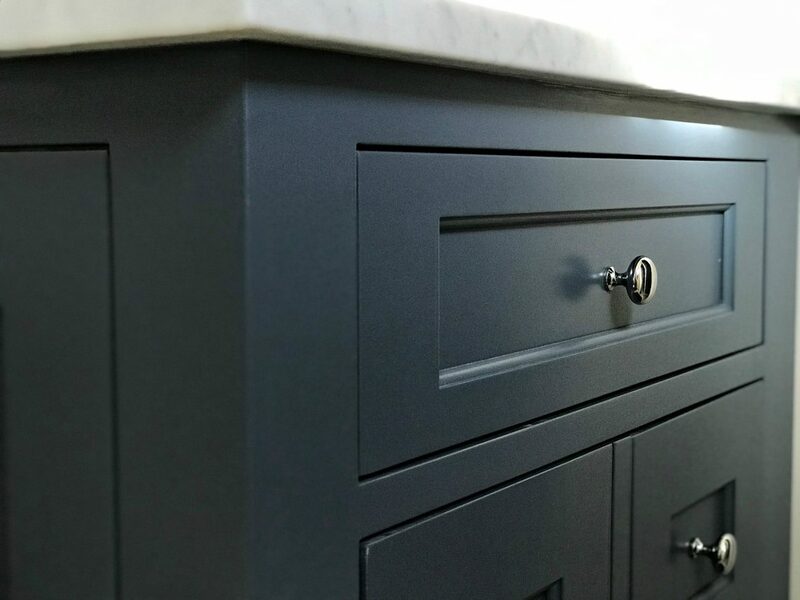 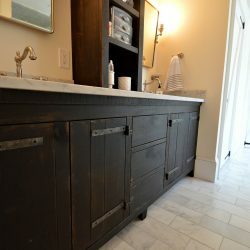 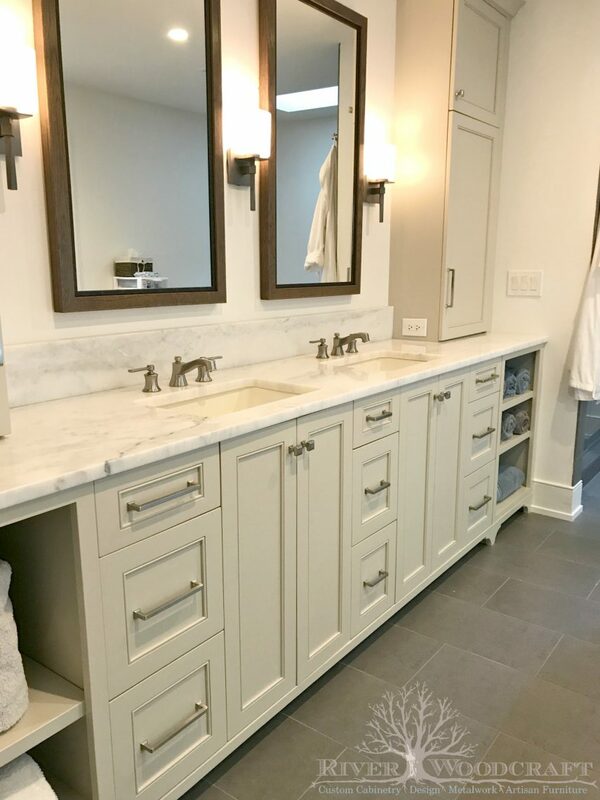 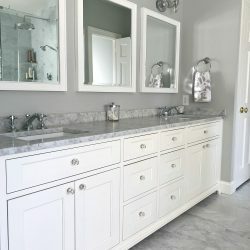 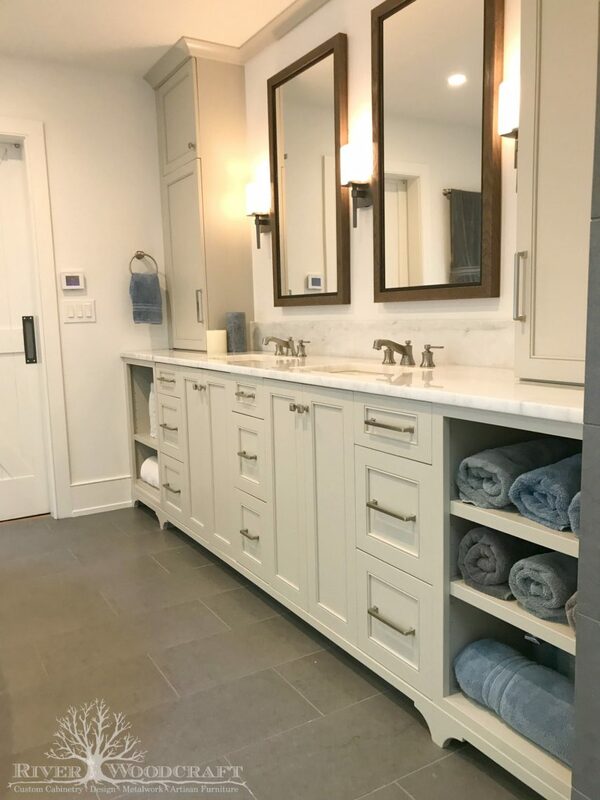 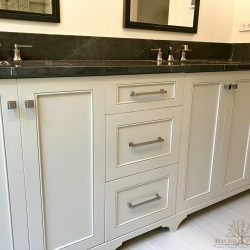 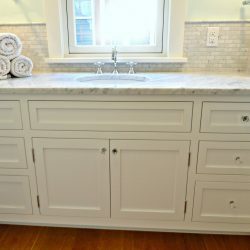 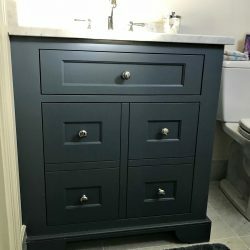 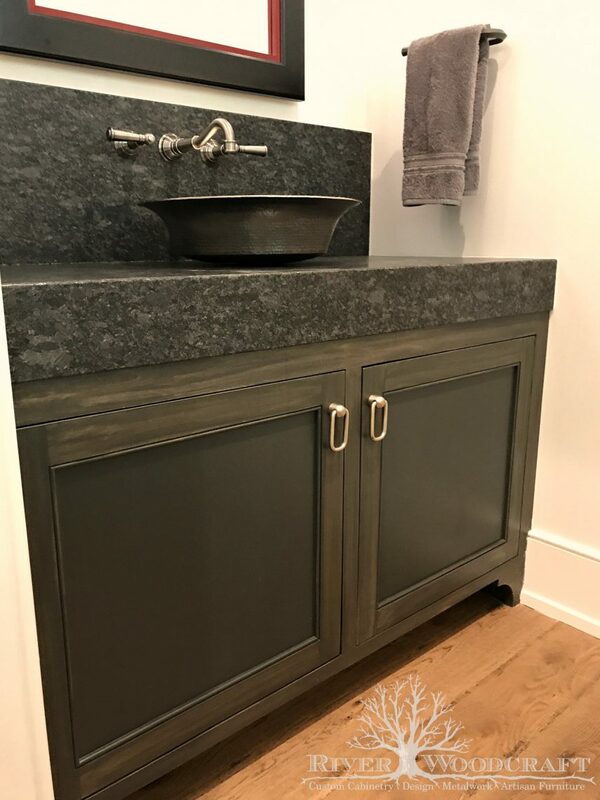 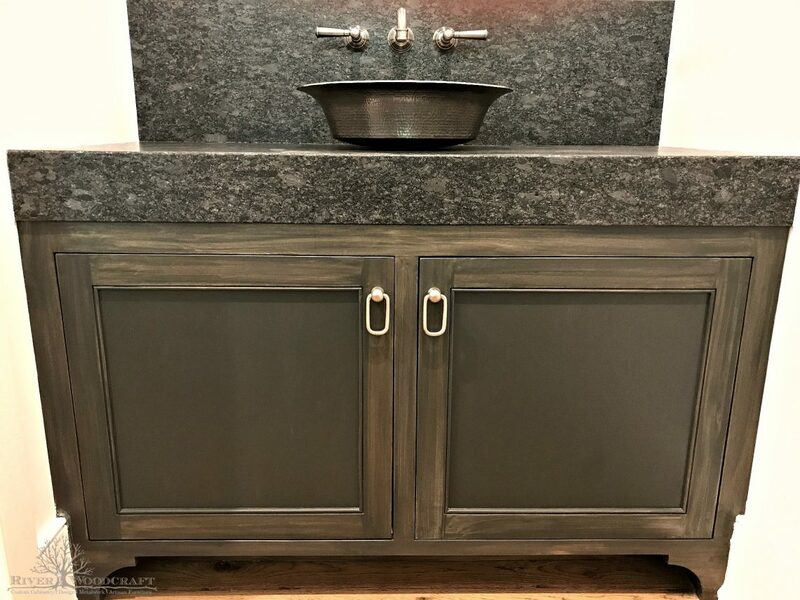 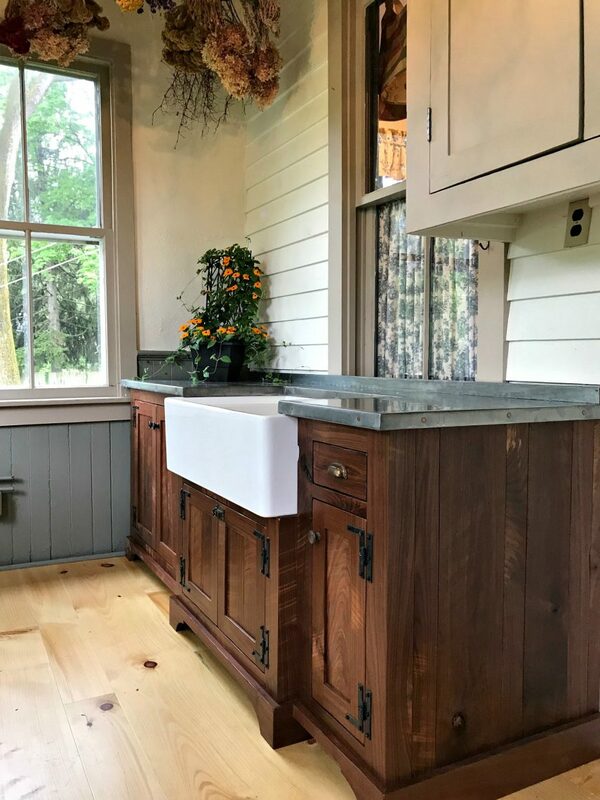 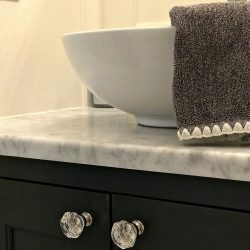 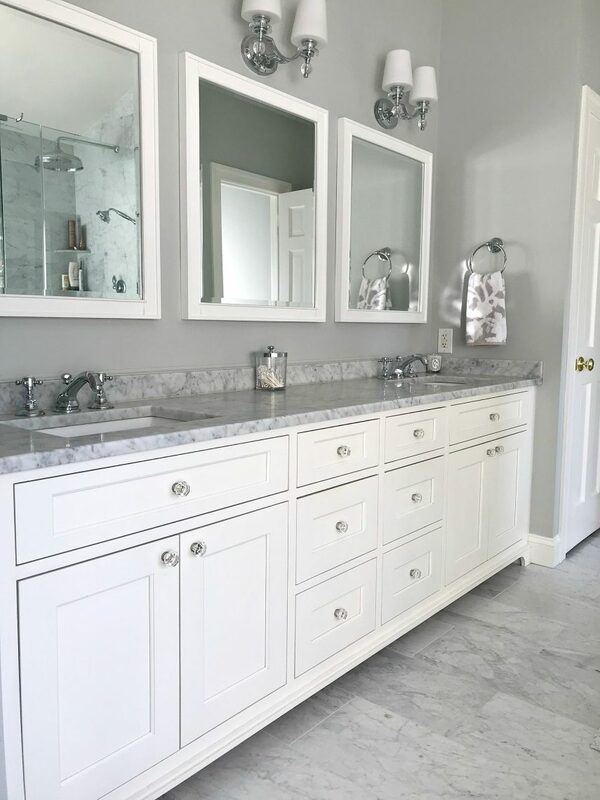 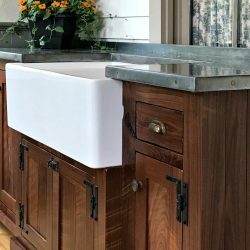 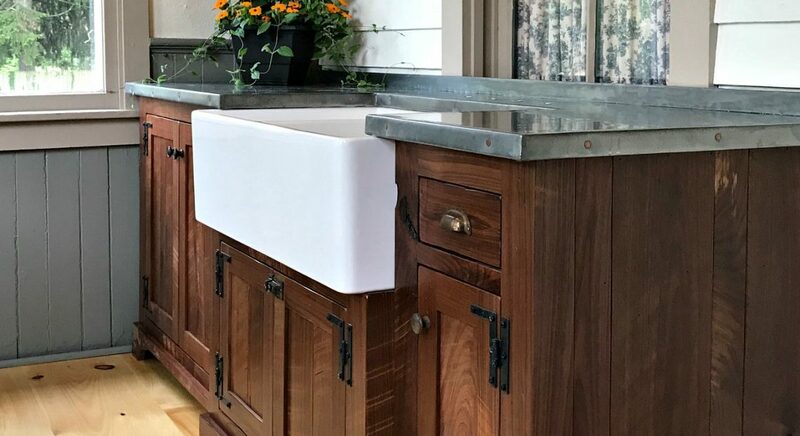 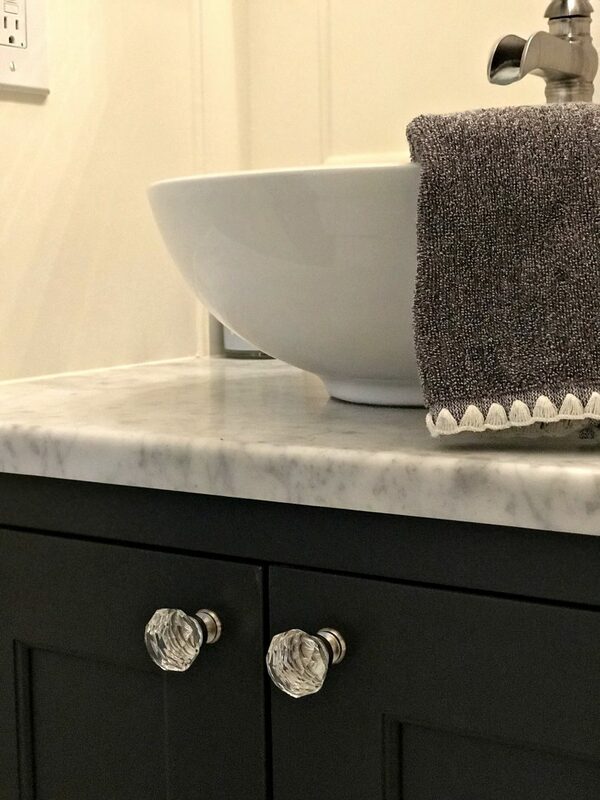 With River Woodcraft, you can rest assured that you’ll be getting quality in the design of your custom bathroom vanity cabinet, but you’ll also get quality materials and craftsmanship. 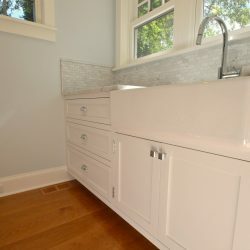 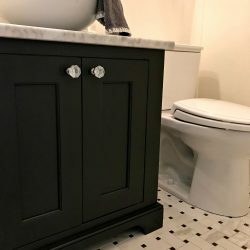 Our custom bathroom builds are created with you and your needs in mind and we’re confident that you’ll fall in love, over and over again, with your new bathroom. 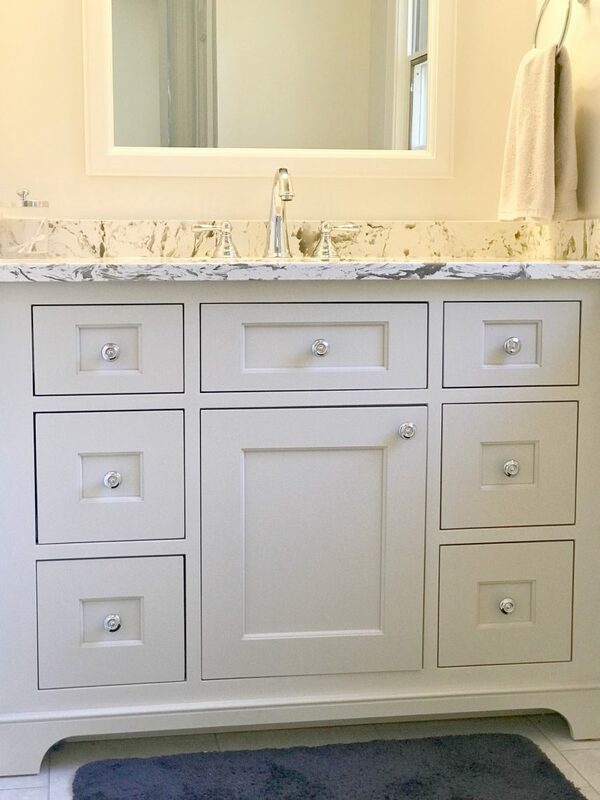 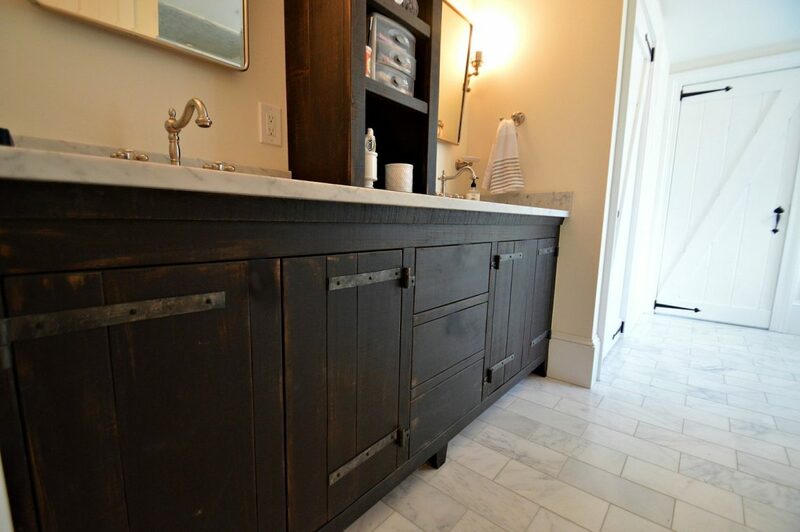 Our bathroom vanity cabinets are hand-crafted and custom designed for your space and needs. 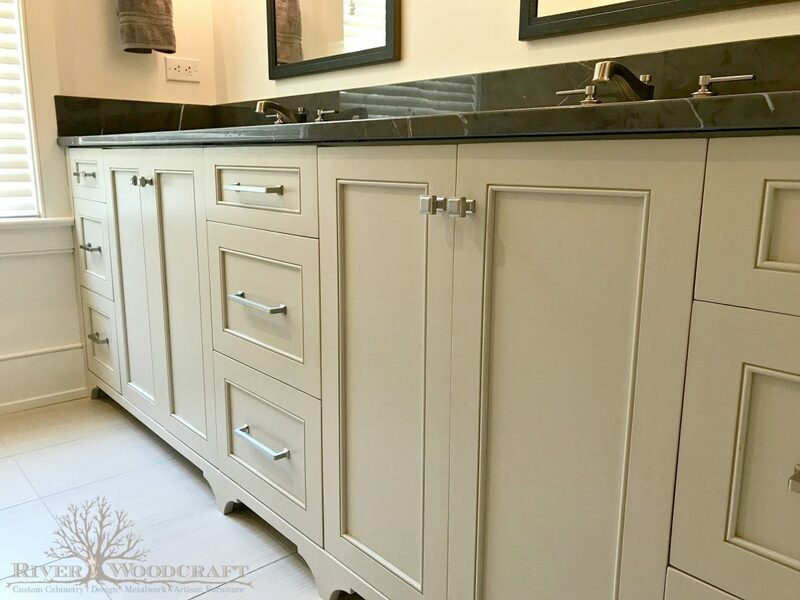 Our craft builders will create a beautiful, custom bathroom vanity, designed by our own, on-staff interior design experts. 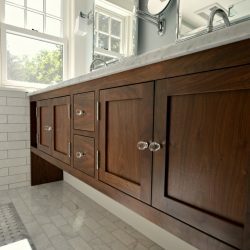 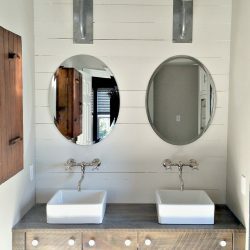 When you’re looking for a custom bathroom, you’re looking for a unique look, but you’re also looking for a unique experience. 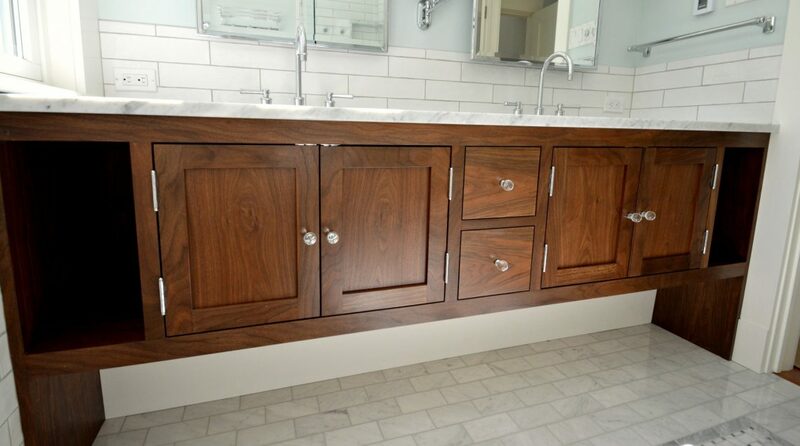 Our staff can ensure a quality experience in addition to your quality bathroom vanity cabinet. 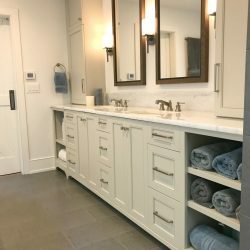 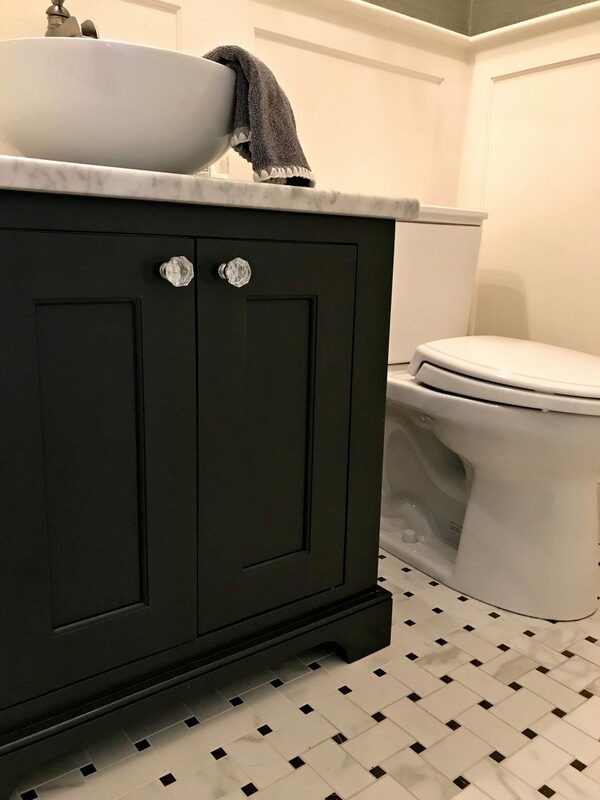 If you’re looking to create a space in your home that you can call your own little get away, we’re confident that we can deliver the custom bathroom that does that for you. 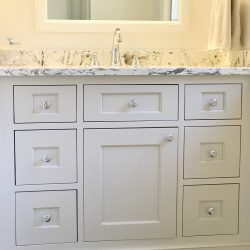 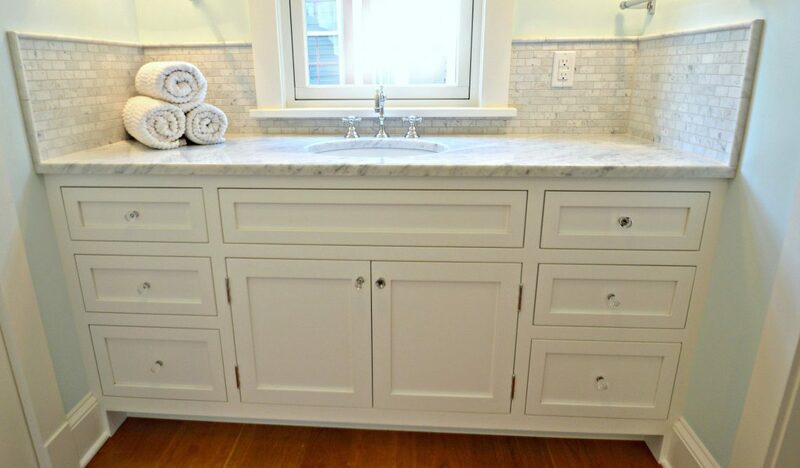 Don’t hesitate to get started with your custom vanity cabinets and contact us today.